If you thought the Samsung Galaxy Note II was pushing the envelope on size, you've got another thing coming. A executive from Huawei has been caught on camera showing off the company's upcoming 6.1-inch 1080p Ascend Mate, a truly mammoth phablet. Expected to be officially unveiled at this year's CES, the Ascend Mate is rumoured to have a 1.8GHz HiSilicon K3V3 quad-core chip and a 4000mAh battery to power its ludicrous 6.1-inch, 361ppi screen. 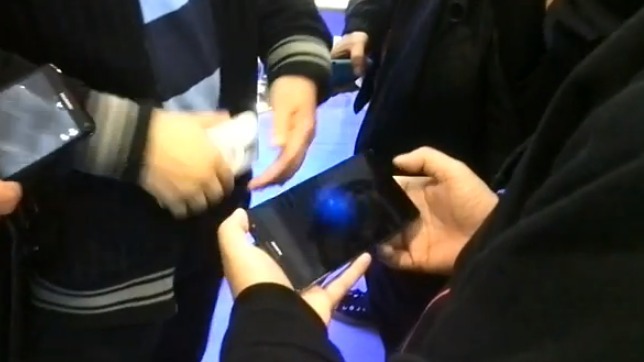 Huawei's Richard Yu was showing off the device at a Huawei store in Guangzhou, and the video shows just how big it is — a full 1.5cm larger than the Galaxy Note II and creeping up on the 7-inch tablet form factor. Where will this hugification finally end?